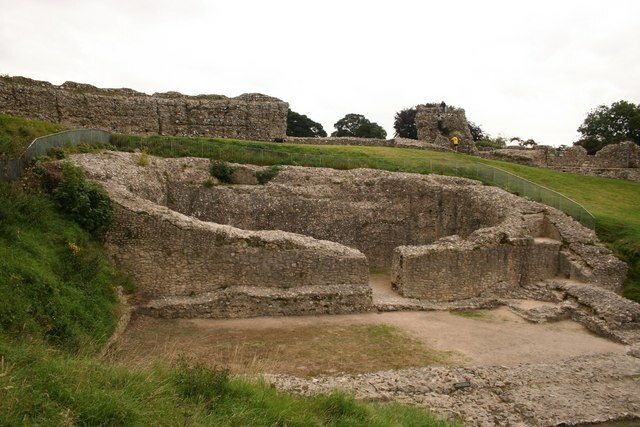 Notes: Castle Acre Castle is the remains of a motte and bailey castle, with extensive earthworks, at Castle Acre, in the English county of Norfolk (grid reference TF819151). It is a Scheduled Ancient Monument, and a Grade I listed building The castle was founded soon after the Norman Conquest of 1066 by William de Warenne, the first Earl of Surrey, as his most important estate in Norfolk. The original castle was restructured around the 1140s. The settlement is strategically placed where the ancient trackway known as the Peddar's Way crossed the River Nar. To the west of the castle was a planned town; the whole settlement was fortified. The riverside location was important both for defence and for river-borne supplies, in an age when road transport was extremely difficult. The castle was of motte and bailey construction; on the summit of the motte was the residence of the owner, and the last refuge in the event of an attack. The bailey below contained living quarters, stores and workshops. A strong curtain wall with wall walks surrounds the motte summit, and a lesser wall tops the bailey banks. The Castle is now in the care of English Heritage, along with the nearby Castle Acre Bailey Gate and Castle Acre Priory.